There is a lot of talk about how much the landscape has changed in the commercial office sector, with the rise of the creative office at the forefront of the conversation. 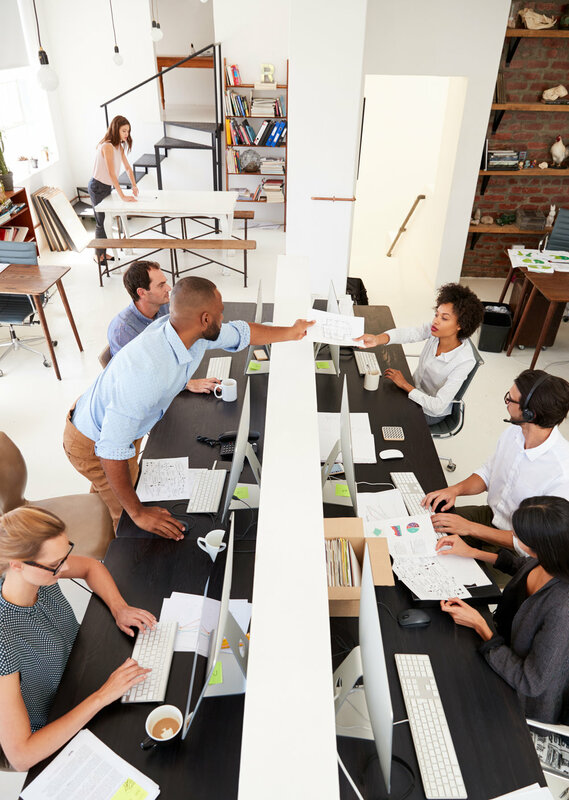 Global brokerage firm Cushman & Wakefield recently released a report, Space Matters, detailing the reasons for some of these changes to traditional office spaces and how space decisions are being made by occupiers today. According to Cushman, there are four main factors that are highly important to today’s commercial real estate executive when making space decisions. Read on for the breakdown. One might think with all of the discussion about creative office and open spaces with areas for employees to have improvisational meetings outside of cubicles, more density is needed due to the financial needs of major corporations. However, according to Cushman, this trend is slowing down. Cushman points out that companies have actually moved toward having more square footage for employees on a regular basis. In the height of the Recession, over 2009, there was an average of 211.4 square feet per worker in an office. At the beginning of 2017, in a strong economy, it shrunk to 193.8 square feet. However, every market and industry sector varies with office density depending on its needs. Certain metros had extremely deep cuts in workers per square foot, with Atlanta leading the way during the time period, dipping by 21.9 percent. San Francisco was next, at 21.6 percent. Those with the least shrinkage were Washington, D.C.; at 2.2 percent, followed by the Silicon Valley, with three percent. Office amenities continue to be a hot topic for occupiers – what’s top of the list? As part of the survey, Cushman found that most landlords consider parking and access to eateries the most important to employees. That is followed by fitness centers and adequate conference facilities. PropTech, and technology in general, were also considered very important, especially the level of connectivity that employees are able to have in a tech-focused world. Meanwhile, co-working, including firms like WeWork and Regus, is having a tremendous impact on the office landscape. WeWork is now said to be the second-largest private office tenant in Manhattan. Common-area space is now more important to workers, for group meetings, though their physical office space might be smaller. Who thought we would be talking about parking in the days of leaning toward self-driving cars and the supposed move to more urban environments where workers rely more heavily on public transportation? We are, and it’s still a big issue. According to Cushman, finding a place to park is an issue at office buildings, even though there are about three or four parking spaces per vehicle in the United States,. Right now the firm estimates that there is 345 square feet of parking space per employee. This costs landlords a lot of money, especially in the Northeast, where they spend $357 per parking spot, or 1,000 square feet. The national average is $183. Year over year parking spots increased 6.4 percent in 2017. Landlords are also spending more on office rent concessions to keep tenants happy, depending on the particular market. Boston has been a hot office market, and Cushman reveals that rents there jumped 7.9 percent from 2016 to 2017. But rent-concession increases well surpassed that, hitting 19.2 percent. On the other hand, Los Angeles rents jumped 9.4 percent, yet concessions dropped by 10.7 percent during the same time period. The landlords giving the most concessions are apparently in Downtown New York City, where they reportedly skyrocketed by 42.2 percent, says Cushman data. Meanwhile, in New York, there was 13.4 million square feet of office space under construction during the first quarter, and tenants in Midtown are getting 13.4 months of free rent on average. Space matters, but as usual with commercial real estate, it depends on the individual market being examined and the activities in that local economy. VTS is the industry’s first leasing and asset management focused platform. The VTS platform is a comprehensive ecosystem where owners and brokers can manage deal activity, identify trends and quantify portfolio performance all from one dashboard. With over 5 billion square feet under management, VTS is the driving force behind the industry's shift toward real-time data.